•mcd” as the default file extension for worksheets. When you create a new worksheet in Mathcad, you can start with the equivalent of a blank piece of paper with Mathcad’ s default choices for formats and layout, or you can use a template that contains customized information for laying out and formatting the worksheet. When you create a worksheet based on a template, all of the formatting information and any text, math, and graphic regions from the template are copied to the new worksheet. The new worksheet therefore inherits the appearance and formatting instructions of the template, allowing you to maintain consistency in the appearance of your work. Mathcad comes with a variety of predefined templates for you to use as you create new Mathcad worksheets. 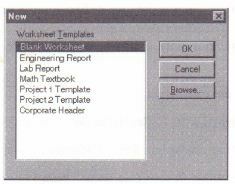 You may extend the collection of templates by saving any of your Mathcad worksheets as a template. Mathcad uses. •mct” as the default file extension for templates. Other saving options are available in Mathcad. You can save a worksheet in rich-text format (RTF), so that many word processors can open it. 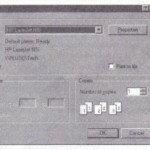 You can also save a worksheet in a format that can be read by Windows and Macintosh versions of Mathcad 6. • Choose a template other than “Blank Worksheet.” By default Mathcad displays worksheet templates in the templa te subdirectory of whatever directory you used to install Mathcad. Click the “Browse” button to find a template in another directory or on another drive. 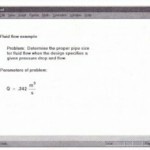 • Create and edit the necessary equations, text, and other regions for your worksheet. • Default text properties (Chapter 5). • Definitions of all math styles (Chapter 6). • Definitions of all text styles (Chapter 5). • Headers and footers (see “Layout” on page 76). 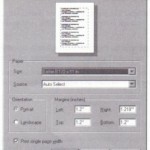 • Margins for printing (see “Printing” on page 79). • Numerical result formats (Chapter 6). • Values for Mathcad’s built-in variables (Chapter 8). • The default unit system (Chapter 9). • Double-click on the Template folder in the Save As dialog. 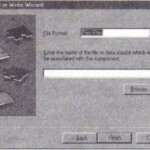 • Type a name for the template in the “File name” box.